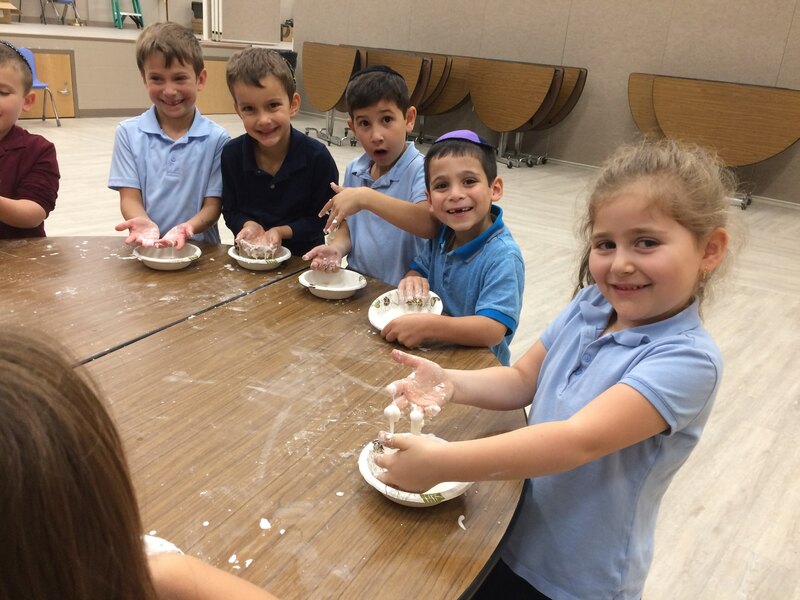 Farber Hebrew Day School teachers use modern technology to enhance and improve the delivery and quality of education. 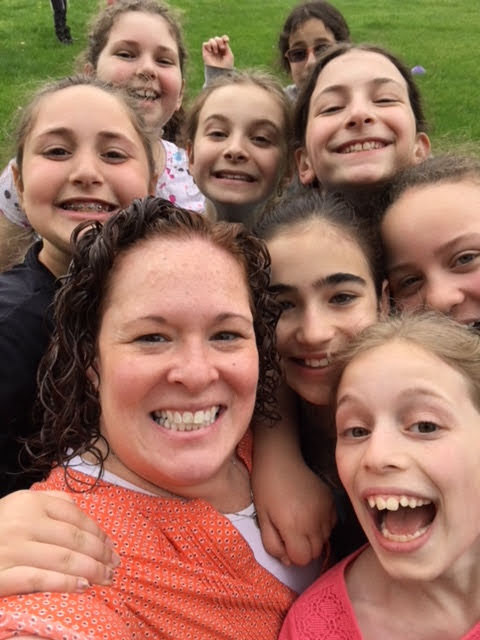 Faculty members across all grade levels and subjects embrace the integration of technology in a variety of ways in both the learning process and in curricular content. Students and teachers take advantage of our state of the art technology infrastructure, which provides access to current devices, tools, and software. Farber offers 1:1 Chromebooks in grades K-8 and the high school has a “bring your own device” program. 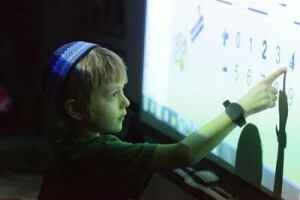 Each classroom in the school is equipped with an Epson Interactive Projector. Elementary students receive dedicated technology instruction during weekly classes while middle and high school students’ technology learning is integrated via Project Based Learning and other modes within the classroom. Students are given a solid foundation as well as ongoing instruction in the following technology skill areas: device use; navigation, interaction, and research; productivity, creativity, and communication; and digital citizenship. 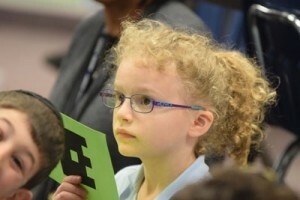 Beginning in the early elementary grades, students regularly utilize tools from G Suite for Education (such as Docs, Sheets, Slides, Forms, and more). Teachers frequently seek out opportunities for students to engage with digital content to supplement traditional material, participate in interactive and collaborative online activities, and use technology to increase personalization and engagement in learning. 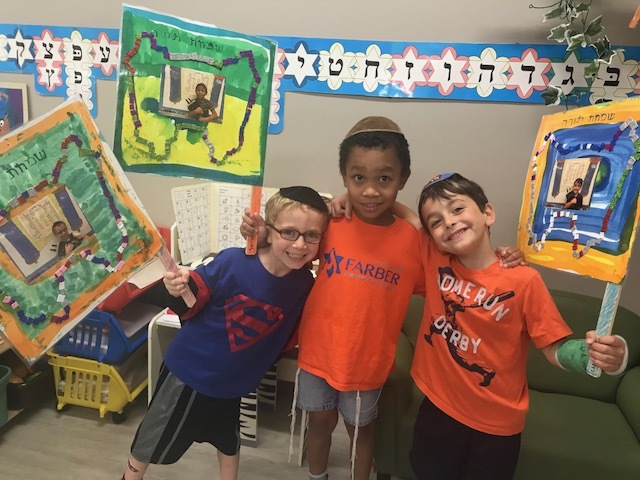 Farber Hebrew Day School’s Director of Educational Technology supports technology implementation and integration throughout the school, providing training and guidance while collaborating on innovations with faculty. A primary goal is to connect teachers–and by extension, students– to tools and resources they can use to enrich their teaching and learning. FHDS is rolling out this school year Rediker, a new Student Management System. Rediker will allow students and parents to be informed of grades, assignments, and relevant calendar events. Communications between teachers and students from whole-class reminders to individualized and particular information is another feature of Rediker. Teachers will be able to track student performance, take attendance, and manage, virtually, all aspects of their classroom record keeping. FHDS is a CIPA compliant institution.